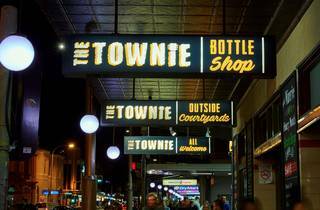 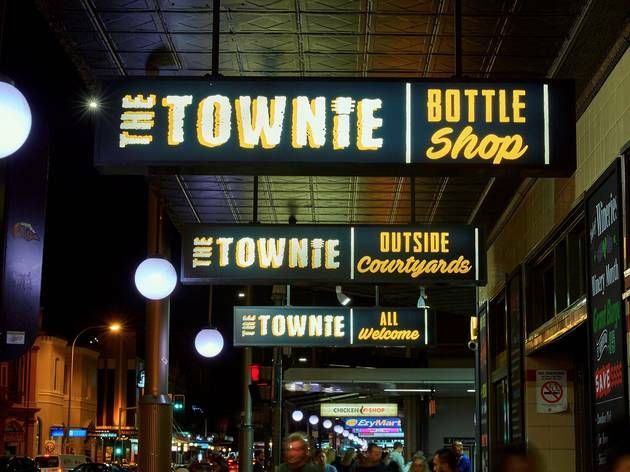 There are those who hold being thrown out of the Townie as a badge of honour, since the staff are notoriously understanding of the youthful high spirits that accompany a night out. 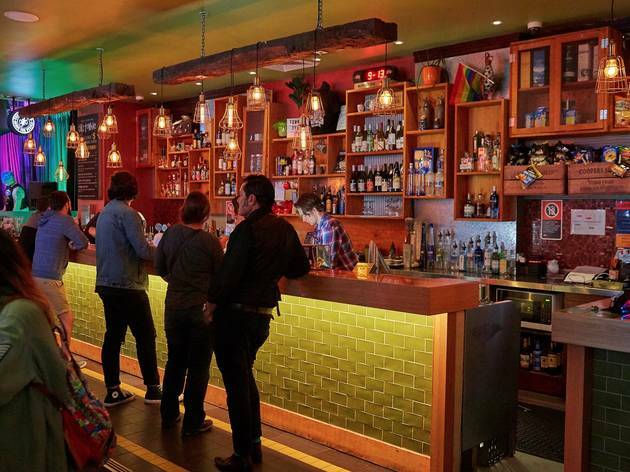 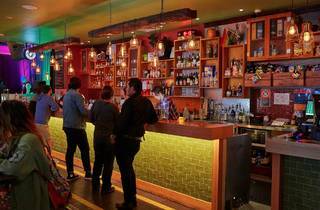 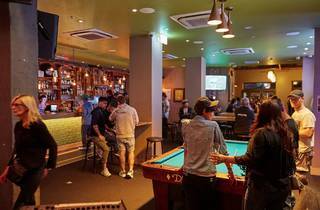 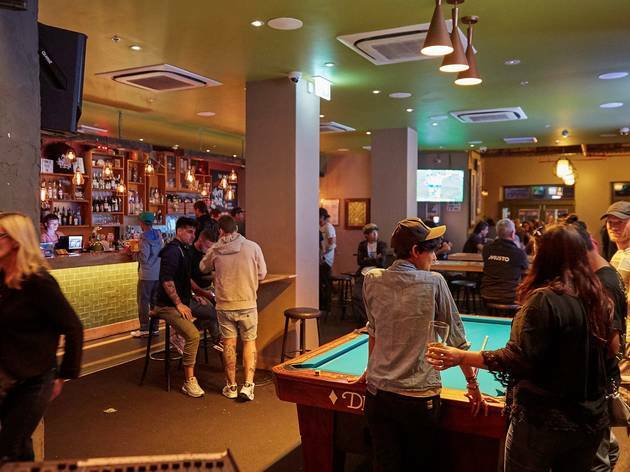 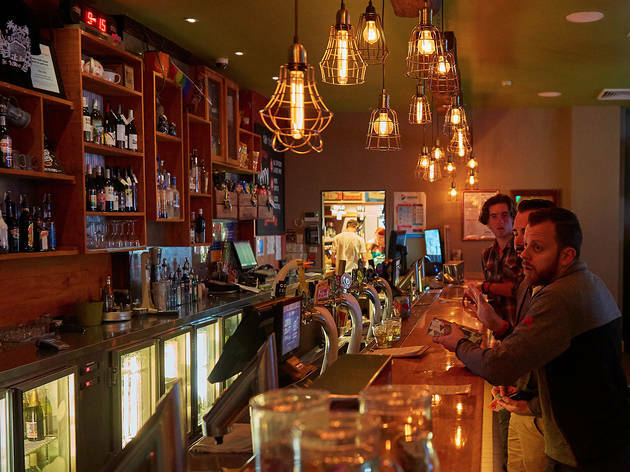 With a late, late licence and conveniently situated but a hop, step and a woozy stagger from Newtown train station, it's an integral part of the community. 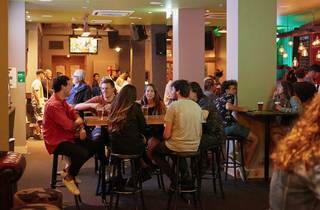 Downstairs the regulars sip at their Bulmers and bet on the horsies during the day, but there are few nights when the younger locals fill upstairs and down. 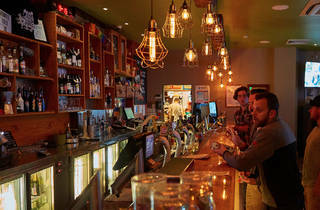 The kitchen upstairs serves bugers and the balconies offer refuge for those who still enjoy nicotine with their alcohol. 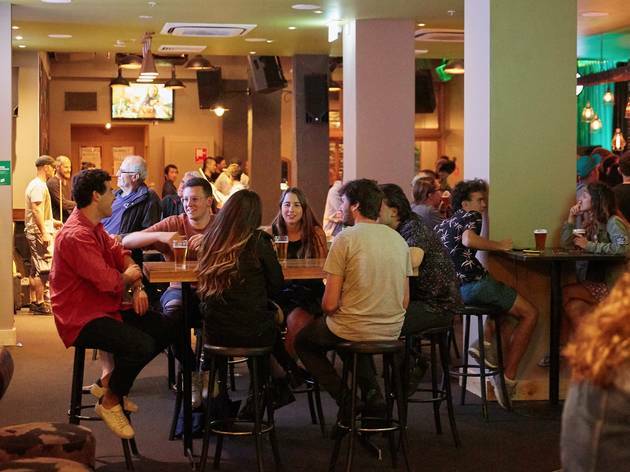 The bars are well stocked in spirits and have a range of beers on tap (the aforementioned Bulmers cider being a firm favourite alongside the standard Coopers, Pure Blonde, and Tooheys), but the reason you'll come is less for the drinking and more for the socialising: a recent reintroduction of live music along with regular indie/punk club nights, not to mention Sydney's best music trivia contest every Thursday, mean that your new best friend is probably perched on a stool upstairs right now.